D&M Landscaping Coventry, provide a fully bespoke and comprehensive garden design service, specialising in professionally designed gardens that are tailor made just for you and your family to create years of memories. Formed in 1999, D&M Gardening Services is a member of Which? Trusted Traders. Any disputes that cannot be settled between the business and the customer can be referred to Ombudsman Services via Which? Trusted Traders. Block paving can be used in many different ways for example, block paved driveways, Patios and pathways, kerbs and edging for flower beds, commercial and residential paving. We have the knowledge, skills, experience and creative flair to create your dream garden. We pride ourselves on our excellent workmanship with 100% customer satisfaction as our goal. Based in Coventry, D&M Landscaping provide a landscaping and patio service in and around the West Midlands. No matter how large or small the job (or budget!) our skilled team can transform your garden. D&M Landscaping can provide FREE estimates and quotations. 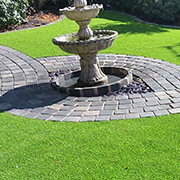 We have the knowledge, skills, experience and creative flair to create your dream garden we will ensure you receive a first class experience throughout the project. We pride ourselves on our excellent workmanship with 100% customer satisfaction as our goal. All our work is carried out to the highest standards and carries a 12 month guarantee from the date of completion, this covers parts and labour. This guarantee is not insurance backed and your statutory rights are not effected by our guarantee. Unless otherwise agreed, english law, with the english courts having exclusive jurisdiction in relation to any claim, dispute or difference concerning the service and any matter arising from it. If you have any concerns or complaints please contact Suzanne on 02476 278754. We offer an extensive range of top quality blocks in many colours, patterns, sizes, textures and styles to suit all tastes. From modern to traditional, whatever your desire, there is a design and pattern to enhance the appearance of your driveway. 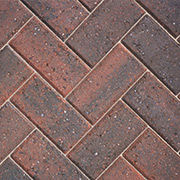 Click Here to view more information on Block Paving Coventry. The landscape designs we create are simple yet elegant and most importantly functional and this approach is further enhanced by the highly skilled craftsmanship of our experienced team. D&M Landscaping aim to deliver a quality service to enhance your outdoor space and complement your home, because as a company we feel we are the number one Landscapers Coventry. Click Here to view more information on Landscaping Coventry. 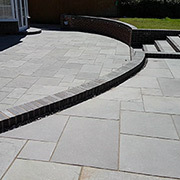 Based in Coventry, D&M Landscaping provide a patio service in and around the West Midlands. No matter how large or small the job (or budget!) our skilled team can transform your garden. When laying slabs the area is cleared and any old paving is removed and the sub-grade is prepared. All paving is then installed onto a 50mm strong solid 100 percent coverage mortar bed under the slabs. Click Here to view more information on Patios Coventry.